18. 11. 2018 09:39 23 (7 - Latvala Jari-Matti / Anttila Miikka): It was increduble, so demanding, so nasty places, had to be really, really patient. I heard Ott has stopped, I'm very sorry for him. Very tricky conditions. 18. 11. 2018 09:29 22 (7 - Latvala Jari-Matti / Anttila Miikka): It was a good stage for us. The first 3km was very slippery. It started to get better but there were some corners that were slippy. 17. 11. 2018 22:19 20 (7 - Latvala Jari-Matti / Anttila Miikka): For sure it has been a difficult morning I must say. You have to read the road all the time. I don't know what we'll do with Ott because Paddon is not so far off, the situation is changing a little bit. 17. 11. 2018 21:34 19 (7 - Latvala Jari-Matti / Anttila Miikka): I thought that Hayden is going to attack very hard so of course I had to do something because I didn't know his speed. 17. 11. 2018 07:52 15 (7 - Latvala Jari-Matti / Anttila Miikka): I should have taken two spares, I did a mistake by only taking one. My tyres are starting to go off now. 17. 11. 2018 07:31 13 (7 - Latvala Jari-Matti / Anttila Miikka): I don't like having two spares in the car, it isn't good for driveability. It is a good fight going on because Paddon is not letting us have it easily. 16. 11. 2018 23:43 11 (7 - Latvala Jari-Matti / Anttila Miikka): He's been driving fast, on the team side they told me to focus on the driving and the team and not focus on Ott. 16. 11. 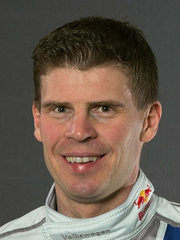 2018 22:44 10 (7 - Latvala Jari-Matti / Anttila Miikka): It is very exciting. It seems that Mr Tänak has had a good push and we are still good over Paddon. 16. 11. 2018 21:48 9 (7 - Latvala Jari-Matti / Anttila Miikka): It was a pretty good stage for us, a few places we went a little bit wide. Hayden was attacking and it will be interesting to see what Mads is doing. 16. 11. 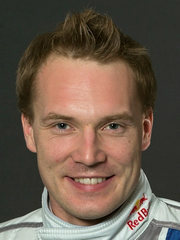 2018 04:45 6 (7 - Latvala Jari-Matti / Anttila Miikka): We thought Neuville was 6.9sec quicker but then realised he was a minute slower. The stage wasn't too bad, towards the end there were some slippy places. 16. 11. 2018 03:40 5 (7 - Latvala Jari-Matti / Anttila Miikka): It was a good stage, no mistakes, generally good clean drive. 16. 11. 2018 03:10 4 (7 - Latvala Jari-Matti / Anttila Miikka): It is okay, we lost a little bit to Ott and Esapekka but they were running a mix of tyres while I'm running four hards. The next stages should be better for me on the hards. 16. 11. 2018 03:28 2 (7 - Latvala Jari-Matti / Anttila Miikka): The car is working well. I was very happy to drive. One slippy left-hander - a junction where I jumped a bit more than I expected. 16. 11. 2018 03:17 1 (7 - Latvala Jari-Matti / Anttila Miikka): This stage, we were running this in the shakedown yesterday so it was already pretty clean and we don't have the cleaning effect as much. It was pretty slippy in some places though.